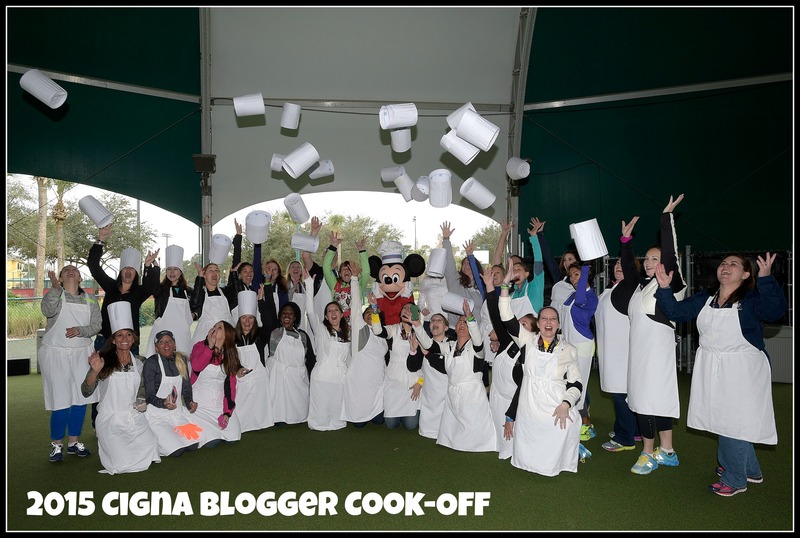 A few weeks before Walt Disney World Marathon Weekend I received an e-mail from Cigna, the Marathon Weekend sponsor, inviting me to a blogger event they were hosting…a cook-off! The event began with Cigna Health Promotion Manager and Nutritionist Pascale Jean welcoming us and giving some tips for healthy eating and race preparation – she was actually running the Dopey Challenge herself! After that we were broken up into groups and partnered with a Disney chef for the cook-off! I joined the vegan/ vegetarian team which was headed up by Chef Jersey. 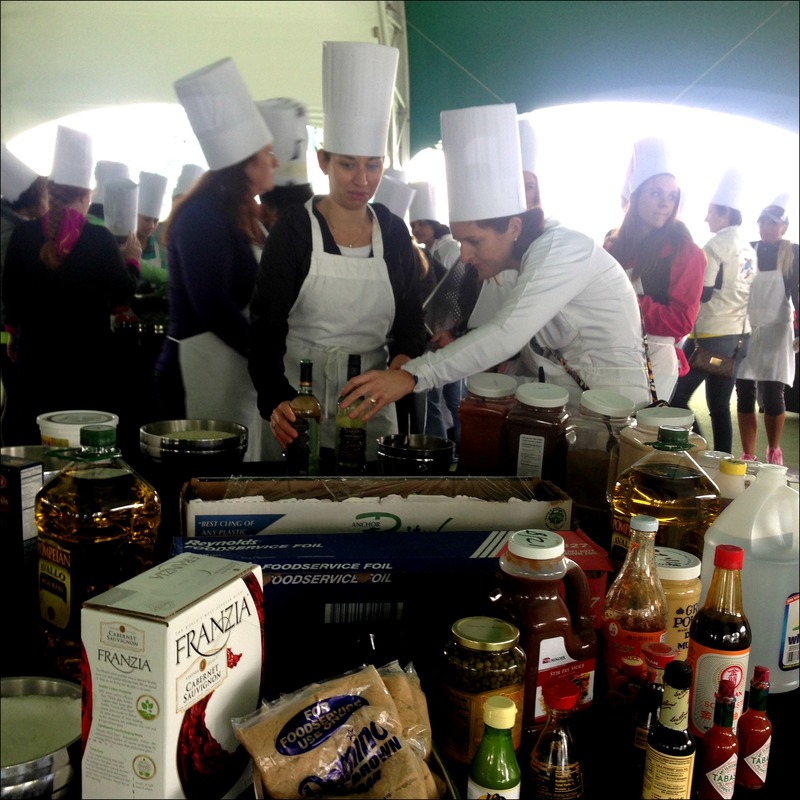 Each team was given a “mystery protein” and then we had tables full of vegetables, seasonings and other ingredients to choose from to prepare our dish. Oh, did I mention we were actually preparing lunch for the entire group?!? Yup, when we were done we’d be dining on each other’s creations (sure glad we had those Disney chef’s helping us!). I ended up working with the wonderfully sweet Jen of Running Pastor Mom (who I’m so glad I met!) and under Chef Jersey’s watchful eye we used the chick’n (vegan “fake” chicken) to make an awesome chick’n piccata! Jen & I choosing our ingredients! One of the things I really love about Cigna’s sponsorship of the Walt Disney World Marathon is that they really seem to practice what they preach. They don’t just write a big check to have their name attached to the event, there really were a lot of Cigna employees participating in one or more of the races! Cigna also supports Achilles International. For anyone not familiar with Achilles, they are an organization that works with people with all types of disabilities to participate in mainstream athletic events – you may have seen some of their runners and guides at races in bright yellow shirts! 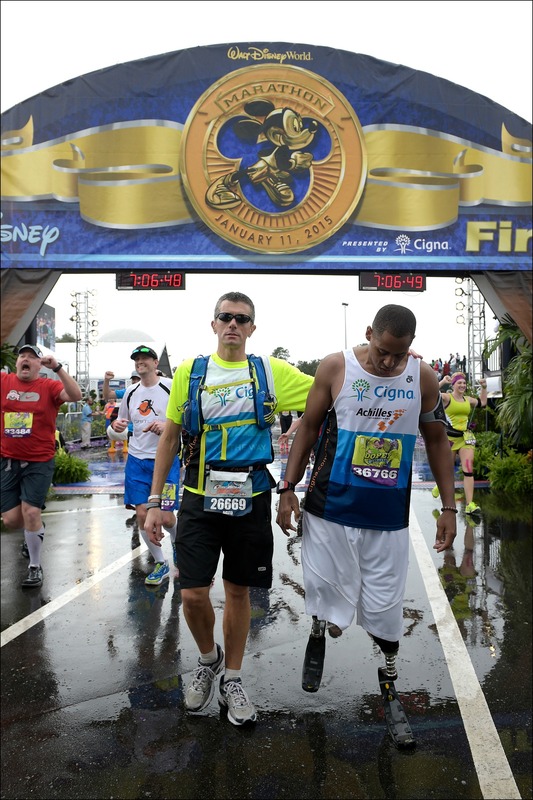 During the Walt Disney World Half Marathon this year I noticed a bilateral leg amputee Achilles athlete and his guide. I remember thinking how amazing it was that this athlete was doing a half marathon and how supportive his guide looked. Later I saw an Instagram post from Cigna congratulating these two athletes – Master Sergeant Cedric King and his guide David Cordani, Cigna CEO. 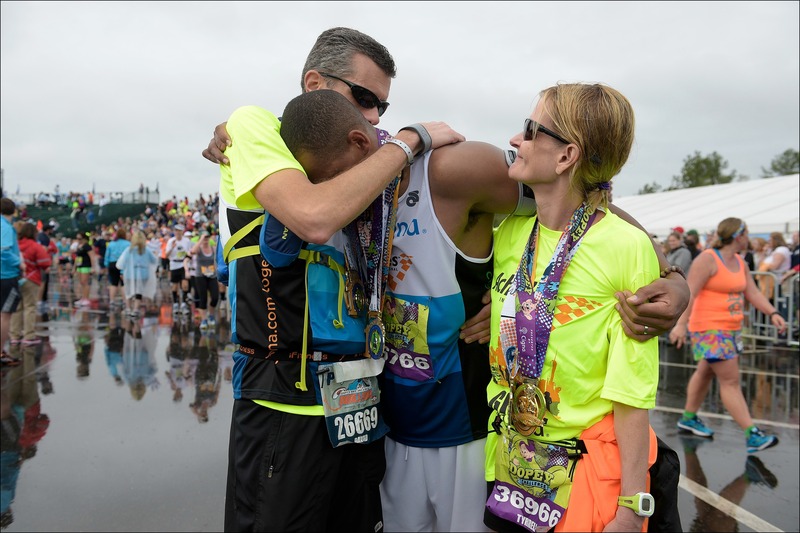 Yup, you read that right, the CEO of Cigna was not only participating in Marathon Weekend, but guiding an athlete for the Dopey Challenge. Master Sergeant Cedric King is the recipient of the Bronze Star medal, the Purple Heart, the Meritorious Service Medal, and several more. He was severely injured by an Improvised Explosive Device while serving his country in Afghanistan on July 25, 2012 and became a bilateral leg amputee. The next day I saw these two athletes again out on the course. Unfortunately I was all the way on the other side of the road or I would have said hello and wished them luck! I did however keep an eye on Cigna’s Twitter and Instagram for word that they finished. 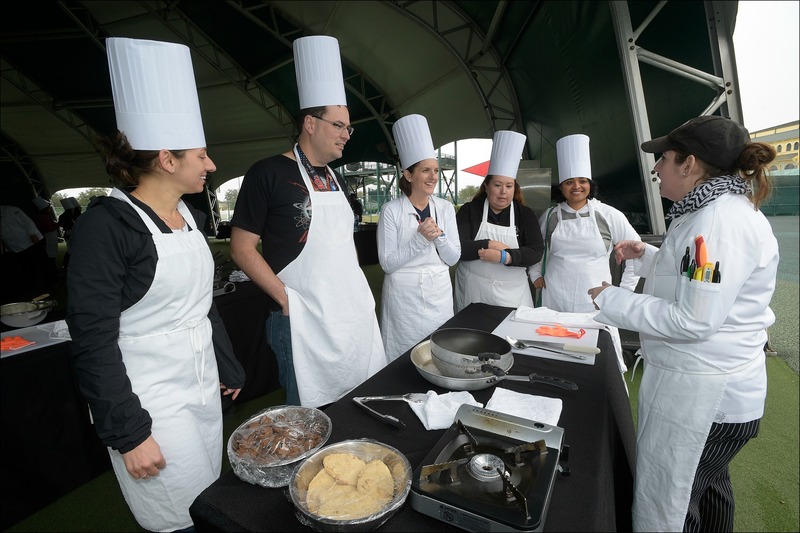 I just wanted to send a big thank you to Cigna for inviting me to the Blogger Cook-Off, their involvement with some of my favorite races and most importantly for their continued support of Achilles International. 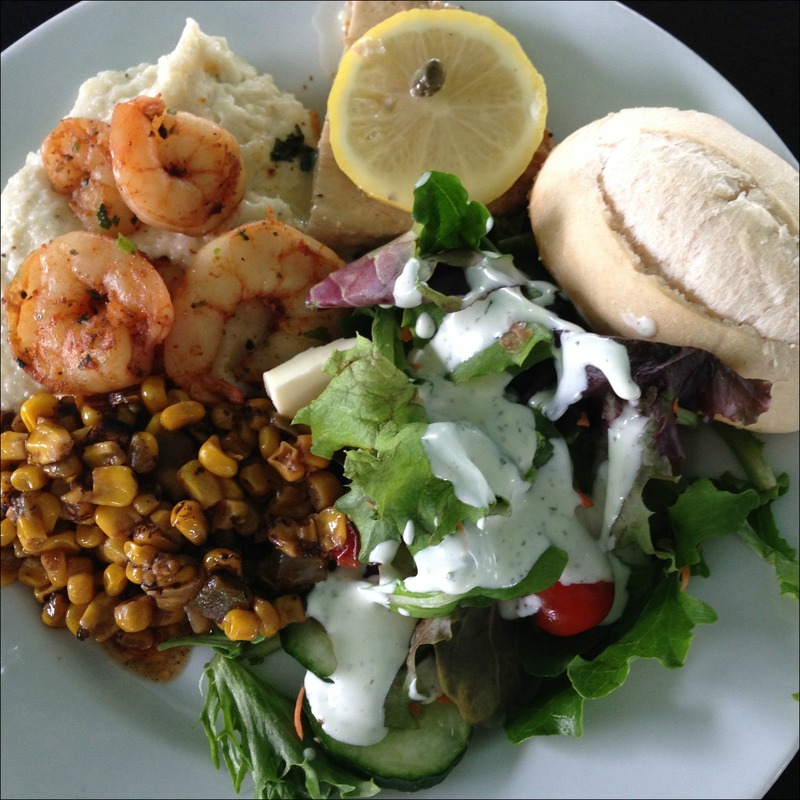 Disclaimer: I was invited to participate in the Cigna Blogger Cook-Off event as a guest of Cigna. I did not receive any compensation for this post, nor was I under any obligation to write a post about the event or Cigna’s sponsorship of the Walt Disney World Marathon. I was just very impressed with the company’s participation in the event and their support of all the amazing Achilles athletes that I wanted to share it! the Disneyland Half Marathon Weekend this year! P.S. – you can see a TED talk by Cedric King HERE! Wow your lunch looks yummy! That’s brilliant that the guide was the CEO, it’s refreshing to see that he was genuinly supportive and actively leading by example as appose to your typical PR stunt of getting a photo at the finish line or like you said just writting a cheque or something. I’m so excited to attend next year! I agree, I thought it was very refreshing to see a CEO of such a large company to be leading by example! I’m very glad I came across this story and was able to share it. This is an amazing post! And NOT just because I’m in it. Totally humbling to see so many athletes with so much to overcome! Makes me think I whine way too much, me with my very little to overcome and all my original parts working as they should. Thanks for the perspective, Friend. Absolutely loved meeting you and Jason! Hope our paths cross again VERY SOON. But seriously, there were no words to describe how touching it was to see Master Sergeant Cedric King on that course and his guides. Just speechless. I know, but I need to get both Jason AND I registered and honestly I am so nervous about one of us getting in and then it selling out and us not both getting to register – what the heck! And yes, seeing the Achilles athletes out on the course during a marathon is so inspirational! Wow, that lunch looks amazing! WAY better than anything I would have cooked. I’m continually inspired and humbled by athletes like King and volunteers like Cordani. They give me hope for humanity! So I just finished my post for tomorrow and THEN read your comment…wait until you see how relevant the last sentence of your comment is! It must have been cool to work with a professional chef. I bang around in the kitchen and I’m not afraid to experiment, but I’m not even a cook, let alone a chef. It was interesting to work with a chef! « Weekly Training Recap & February Plank-a-Day!